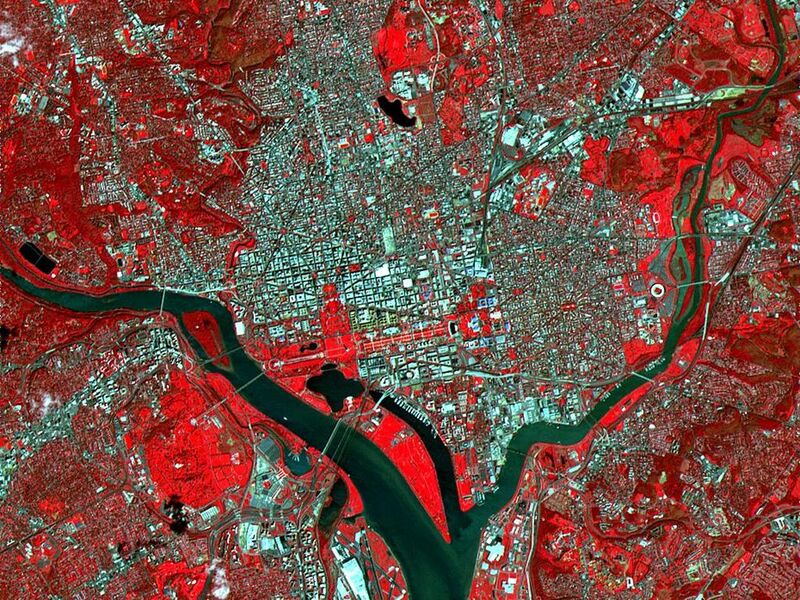 Space Images | ASTER Washington, D.C. 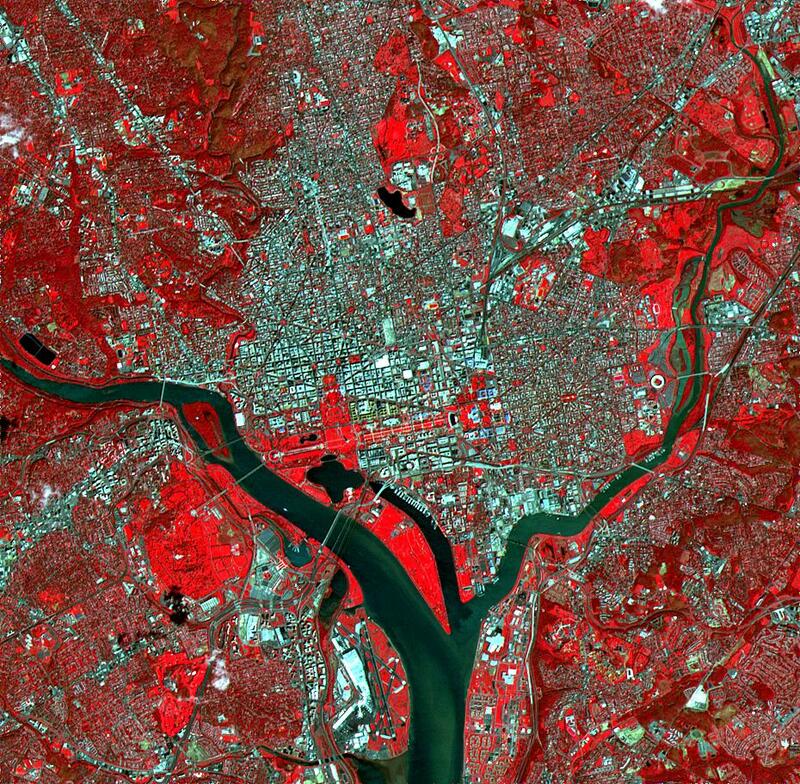 The White House, the Jefferson Memorial, and the Washington Monument with its shadow are all visible in this image of Washington, D.C. With its 15-meter spatial resolution, ASTER can see individual buildings. Taken on June 1, 2000, this image covers an area 14 kilometers (8.5 miles) wide and 13.7 kilometers (8.2 miles) long in three bands of the reflected visible and infrared wavelength region. 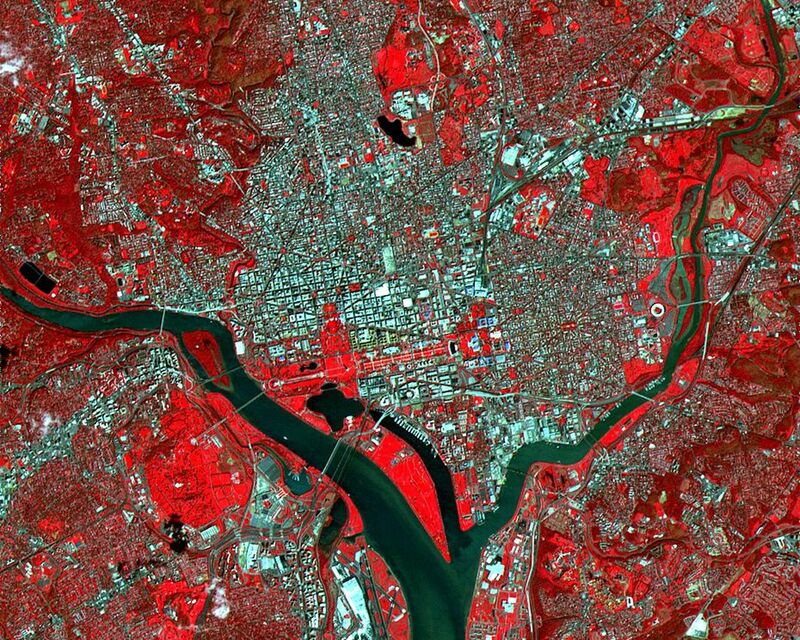 The combination of visible and near infrared bands displays vegetation in red and water in dark grays. The Potomac River flows from the middle left to the bottom center. 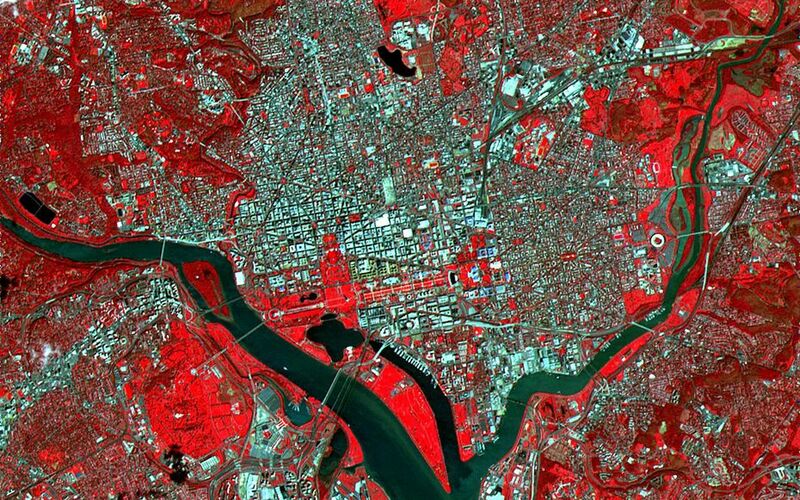 The large red area west of the river is Arlington National Cemetery.